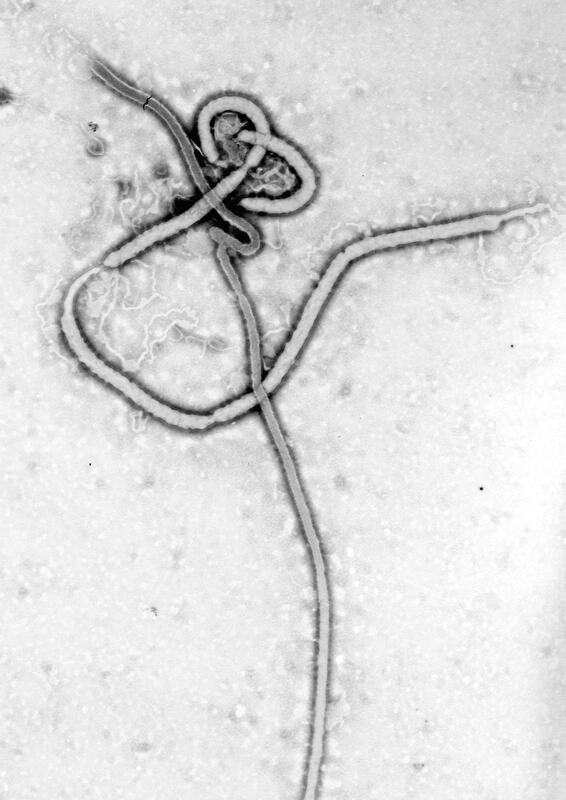 We give you – Ebola! Despite its high pathogenicity, filovirus infections have killed less than 2000 people since the virus family’s emergence in the late 1960s. Rigorous containment strategies are a big part of the lower fatality numbers – once infected, supportive care is the only available treatment. The natural reservoirs of the virus (not us) remain unknown. So if for some reason you find this staring up at you from under an (extremely powerful) microscope, hold your breath and run (joke, that was a joke). To learn more about everyone’s favorite hemorrhagic fever, check out the Federation of American Scientist’s Fact Sheet.